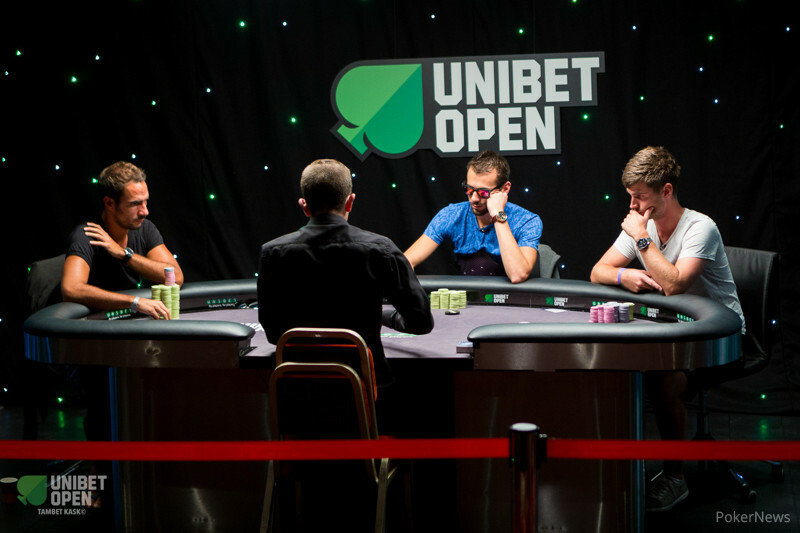 Only 16 hopefuls out of a 411-entry strong field returned to their seats on the final day of the €1,000 + €100 Main Event of the 2015 Unibet Open Cannes with Fred Weiss leading the remaining title contenders. The popular tournament series returned to the Casino Barriere for the third time, and this year it was Day 1a chip leader Julien Sitbon who home the €80,000 first-place prize after an incredible comeback in heads-up play against Karl Stark. Despite half a dozen participants being down to 20 big blinds or less, only one elimination occurred during the first 60-minute level. Philip Fjaestad picked the wrong time for a shove and ran into the pocket queens of Finnish radio moderator Jussi Heikela. The next to follow was Michael Lancri, who became the first victim of the enormous run-good of Stark and bowing out in 15th place. In just half an hour, four players were sent to the rail and three of them sent their chips over to Stark. Niels Vesterlund lost a flip with ace-king to the queens of the Swede, while Vyacheslav Igin failed to improve with ace-jack against the sixes of Stark. Julien Bolimowski picked a bad time to push with ace-rag and was dead by the turn to end up in 12th place, his chips went to Heikela. As if the run-good of Stark wasn't impressive enough, he picked up aces and Zsombor Gall's move on the short stack with king-queen saw him exit in 11th place. A big three-way hand with three pocket pairs involved cut the field down to the official final table, and of course Stark was again on the better end of a setup with kings against the pocket tens of David Abbas. Down to the last nine players, the Swede was holding 65% of the chips in play. Start-of-the-day chip leader Weiss reached the final table as one of the shorter stacks after Loic Francois had doubled up through him, and wouldn't you know it the Frenchman also busted against Stark seven hands into the final table. Pierre Antona lost almost all of his chips after an unlucky river versus Joachim Kleiven, and the rest of it then disappeared in a coin flip against Stark. Florian Ferroni doubled up through Francois and then sent him to the rail in seventh place when the latter was forced all in out of the big blind. Heikela's grind came to an end exactly one hand later when his ace-rag failed to improve against the pocket tens of David Hefner. In Level 24, the field was reduced from five to three with both eliminations no longer than 15 minutes apart. Kleiven ran into the pocket kings of Ferroni, and then Hefner's ace-rag was not good enough against Stark. Down to three players the Swede was holding 90% of the chips in play, but Ferroni and Sitbon didn't give up easily. After a series of double ups, Stark had grinded both down again and then hit a runner-runner flush to bust Ferroni in third place. Everything looked set to see the Swede lift the trophy a few minutes later as Stark held an almost 15-1 lead over Sitbon. However all the previous run-good disappeared and the Frenchman quickly doubled up twice. Sitbon then sky-rocketed into a big lead with a flush versus two pair and carefully picked his spot in order to not allow Stark a comeback. A flop of then ended the tournament. Stark check-raised with the and called the shove of his opponent only for Sitbon to flip over . The turn and river changed nothing and the winner was crowned. The Unibet Open is next heading to Antwerpen in Belgium and the online qualifiers are already running. That was it from the festival here at the French Riviera and below you can find the result of the final table. Thanks for tuning into the PokerNews live reporting, I hope you enjoyed the show and will be back soon again to check on the updates from all over the world! 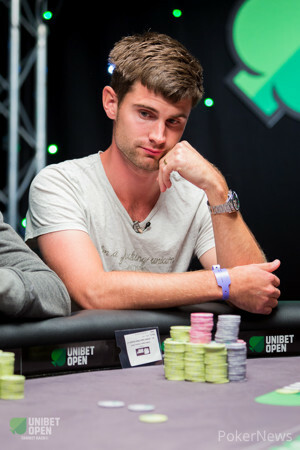 Julien Sitbon min-raised to 320,000 and was called by Karl Stark to see a flop of . The turn was somewhat cruel as Stark "improved" to worse two pair. 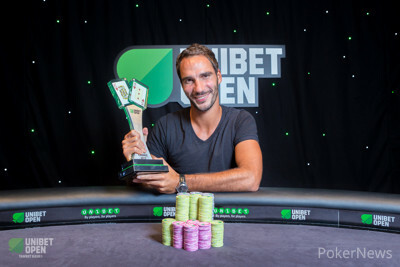 It was all over after the river and Sitbon took revenge for all other French that were sent to the rail by Stark, ensuring a home victory and the second win of a Frenchman at the Unibet Open Cannes in its third edition. 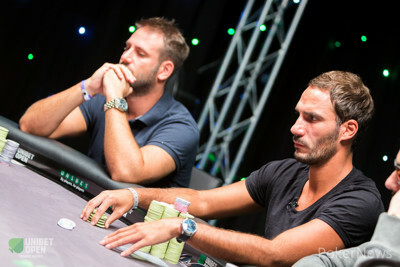 Karl Stark min-raised to 320,000 with the and Julien Sitbon just flat-called with the . The Frenchman check-called 320,000 on the flop but then check-folded the turn when Stark made a second barrel worth 675,000. There was just one flop with Julien Sitbon limping in and then calling a raise to 450,000 with the . Stark had the and won the pot with a bet of 400,000 on the flop. The Swede also three-bet shoved with versus and four-bet shoved the for 3,145,000 when Sitbon was becoming creative with . The Frenchman mucked and they went on a quick unscheduled break. A typical setup hand saw the pot grow to 2.3 million until the turn. The Frenchman had limped and called a raise to also call the continuation bet on the flop. Karl Stark then bet the turn for 825,000 and was called before the river completed the board. Stark shoved with the and Sitbon snapped him off with the to double up into a commanding lead. Julien Sitbon limped in with the and Karl Stark checked his option with the . The Swede fired the flop for 200,000 and was called before the turn got checked. A pot-sized bet on the scary river was called by Sitbon and he claimed yet another pot. Then the Frenchman three-bet with and Stark let go of his . Another paired board of went check / check on turn and river and the queen-high of the Swede was no good against Sitbon's ace-high. Karl Stark was value-betting the river of a board for 360,000 into a pot of 720,000. His was quite good, however Julien Sitbon made the call with the and claimed the pot with the better kicker. The Frenchman is up to 33 big blinds while Stark has 70 big blinds.